Today we are going to talk again about chains, strong and weak rings, strength testing. If you have still not read the article Padlocks & chains: which is the weak link?, it tells how the Viro Morso product and a copy behaved during a laboratory test simulating an attack with the striking of blows. The videos we are presenting this week show another type of test, which still includes the Viro Morso (Made in Italy) and a copy (Far Eastern import). This time, after submitting the chains to a salt spray corrosion test (after which the chain of the imported product was quite oxidized) we tested the resistance of the chains to cutting. The first video shows what happens to the copy of the Viro Morso chain after being tested in a machine present in our laboratory which, by using a mechanical arm, operates a hacksaw to attempt to saw through a chain link of the imitation product. The chain of the imitation product, as it is made of iron which has been manufactured simply with iron which has not been heat treated, can be very easily cut through. The second video shows the same test, but this time carried out on our Made in Italy product. The Viro Morso chain, as it is made of hardened steel and manganese, is not affected in any way by the hacksaw. The tempering and case-hardening of the steel, with which good quality chains are manufactured, is necessary in order for the chains to be considered suitable for use with padlocks to protect two-wheeled vehicles, whilst those which have been manufactured simply with iron which has not been heat treated do not provide any true protection. In this last video we show the chains of the two products compared after the same test. 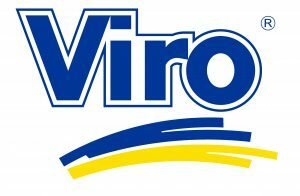 We can say once again that even after the cutting test the winner is the original Viro Morso product. However, we would point out once again that even though the Viro Morso chains are made from hardened steel and manganese (the best you can find on the market as production materials for chains), they cannot be immune to any kind of attack, since the cutting resistance is also determined by the cross-section of the chains. This means that, in the case of an attack with shears or cutters, the longer the arms of the tools are, the greater must be the cross-section of the chain in order to resist. We therefore recommend that you review our guidelines to ensure a correct behaviour is adopted even when tying up bikes. It is also always good to remember that the maximum security cannot coexist with maximum convenience (that is, with the minimum weight and the dimensions), as well as with cost savings. Viro offers a wide range of anti-theft devices for every need. In future blogs we will see how to choose the right anti-theft device in relation to the item to be protected, by seeking a fair compromise in terms of strength, convenience and cost. This entry was posted in Padlocks and tagged products, technology, tips on 17 May 2016 by calessandrini.